History: Sharla Northrup is an author that is often angered by the world's social injustice. She often through tantrums because lacked the ability to do any thing. One day doing a bank robbery, the hero Scarlet Scarab was near her, wishing she could help, the mystic mask worn by the Scarlet Scarab energize her into the relent fighter called Sparkler. 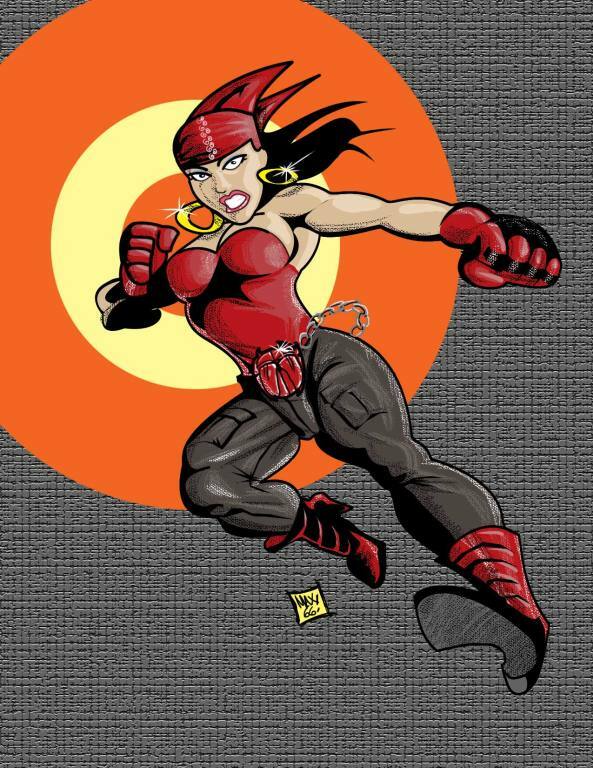 Powers & Weapons: Sharla is extremely agile and an adept hand-to-hand combatant. She was train in focusing her chi energies by her mother Ethel, which helps her to perform on a metahuman level. One of these impressive skills is the ability to resist pain.